After 40 years, the Walt Disney World Resort has announced that they will no longer host their Disney Grad Nite in Orlando, FL. 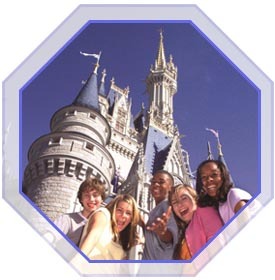 Your senior class may still celebrate their accomplishment at Walt Disney World with 1st Stop Group Travel Planners. If you are interested in planning a senior class trip to Walt Disney World Resort, 1st Stop Group Travel Planners can customize a package that fits your senior class wants and needs. Please click here to learn more about our Disney Packages. Our package pricing varies based on the package you select. You may choose from the following packages or design your own. Call our Travel Planning Team today for a QuickQuote. Space is limited. Dedicated Travel Planning and Operations Team assist your group from your first phone call. Services of a 1st Stop's team member with 24-hours availability when you are on-site.